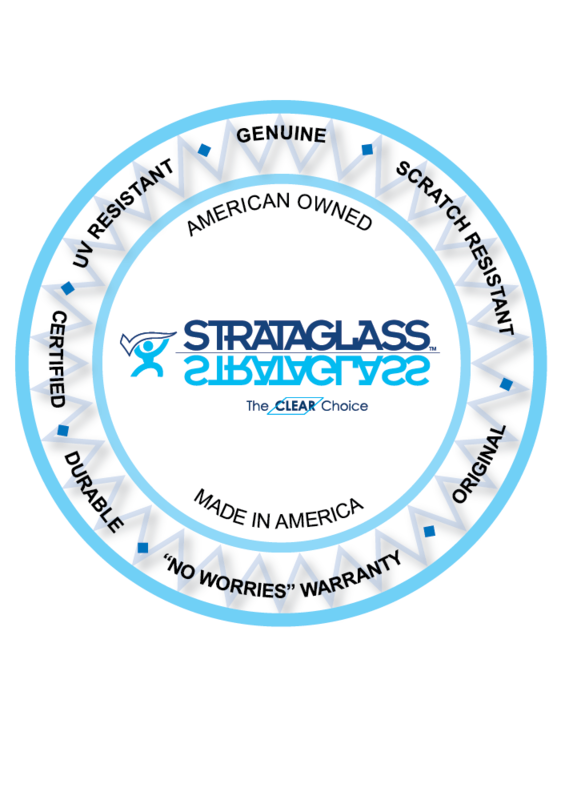 What does the Strataglass "No Worries" Performance Warranty Cover? Effective September 1, 2017, The Strataglass "No Worries" performance warranty covers defects and/or product failure for two (2) years when used in a normal Marine Enclosure application. In the unlikely event that Strataglass fails within the two (2) year warranty period, we will supply you with enough new Strataglass to remake the entire enclosure curtain system on your boat. We have your Strataglass covered - No Worries! All Strataglass Composite Marine Sheets that were purchased since September 1, 2017 are guaranteed for a period of two (2) years from the original date of enclosure fabrication against defects found upon inspection, during fabrication or during marine enclosure use. The Strataglass purchase was on or after the effective date of September 1, 2017. The owner or marine fabricator registers the Strataglass purchase online within thirty (30) days of product installation. The owner properly cleans and maintains the Strataglass product during the warranty period according to manufacturer’s instructions. Product abuse or neglect will void the warranty. The owner or fabricator returns any defective Strataglass sheets or representative samples of the defect to the manufacture for inspection, testing and warranty validation. The owner or fabricator must register the new Strataglass purchase using our online registration page within thirty (30) days of product installation. The registrant must provide project details including installation date and Strataglass production lot number to verify proof of purchase. To properly clean and maintain your Strataglass products we recommend Strataglass Protective Cleaner and Strataglass Protective Polish according the manufacturer’s instructions. Both products are by IMAR and available through your Strataglass provider or favorite retail marine store. Neglect or use of non-authorized cleaners may damage the Strataglass and void the warranty. *Warranty validation will be at the sole discretion of Strataglass LLC. All warranty claims will be considered on an individual basis. This warranty does not cover labor or any additional costs associated with the replacement. This Limited Warranty only applies to Strataglass composite sheets that were purchased since the effective date of September 1, 2017. This Limited Warranty does not apply to any product or any part thereof that, in the sole judgment of Strataglass LLC. have been subjected to misuse, alteration, aggressive cleaning, aggressive detergents, accidental damage to the surface, Acts of God, abused by machinery, excess wear and tear, abnormal weather conditions, exposure to harmful chemicals, falling objects, friction, explosion, fire, flood, riots, civil commotion, drones, neglect, scratches, perforations, damaged during handling or fabrication, subjected to unusual atmospheric pollution including acid rain, is used or fabricated in a manner inconsistent with recommended care and maintenance instructions of Strataglass LLC. This includes but is not limited to handling and stacking of sheets, exposure to certain fluids, and chemicals or cleaners not approved by Strataglass LLC. or becomes defective as a result of failure(s) of related products for which Strataglass LLC. Is not responsible. This limited warranty is the exclusive warranty with respect to the products, is in lieu of, and supersedes all other representation or warranties, whether written or oral, express or implied. Strataglass LLC. expressly disclaims any implied warranties of merchantability of fitness for a particular purpose. The sole and exclusive remedies of any person relating to the products and the full liability of Strataglass LLC. for any breach of this warranty are those provided in this limited warranty and user of the products hereby agrees and acknowledges that no other warranties are offered or provided in connection with or for the products or any part thereof. The terms and provisions of this Limited Warranty shall be governed by the laws of the State of Florida without regard to Uniform United Nations Conventions.